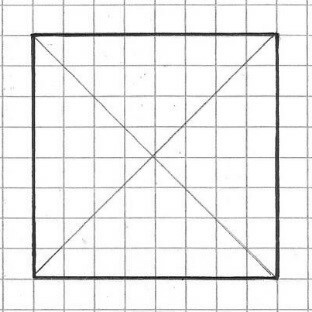 where its two diagonals intersect. 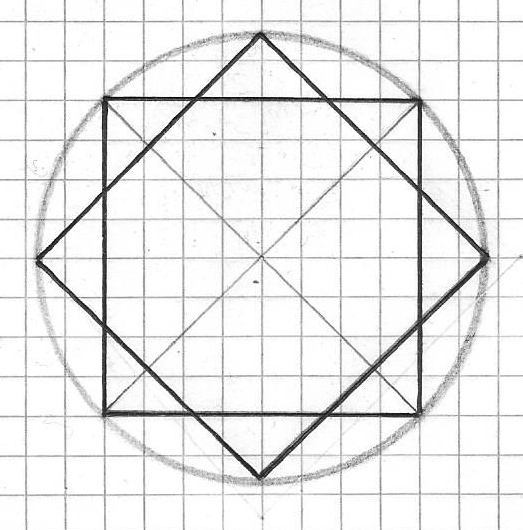 can be drawn at right angles to the first. 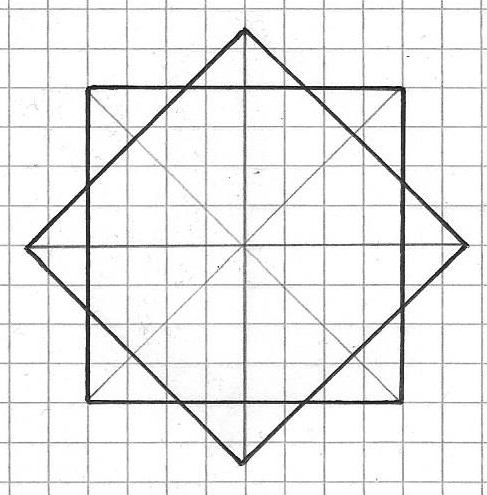 Like this, we create eight equidistant points. eight sides, a new set of intersections is generated. is perfectly derived from its archetype. 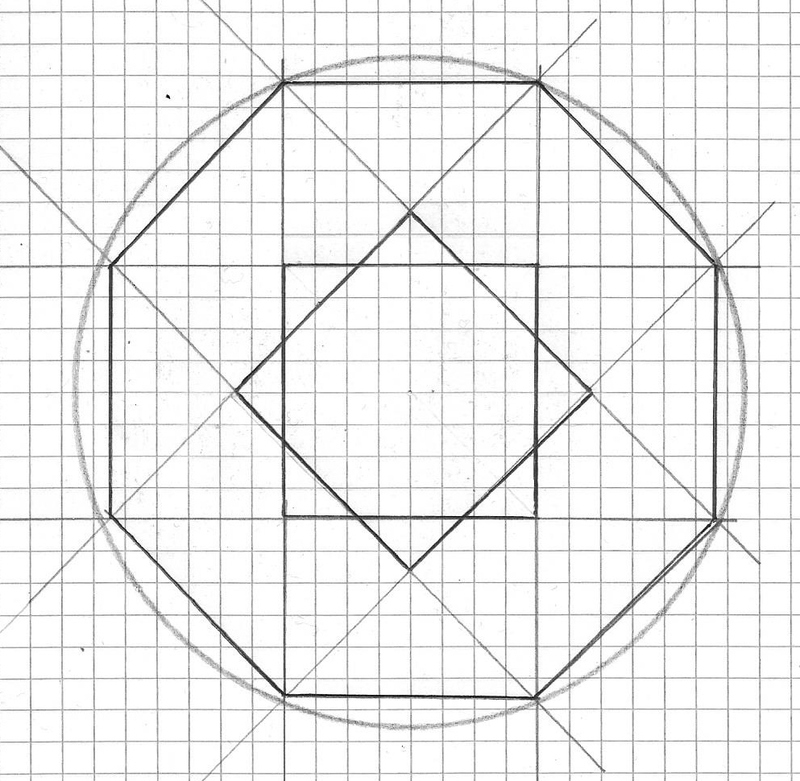 Extending the sides of the Octagon generates another pair of larger squares. The building blocks of existence.